The biggest story to hit the golf equipment world in the last 5 years (NIKE Exiting Equipment Business) is barely even 24 hours old and its shockwaves are still being felt. The next story might have more lasting impact. Golfsmith is faced with possibly having to file for bankruptcy. 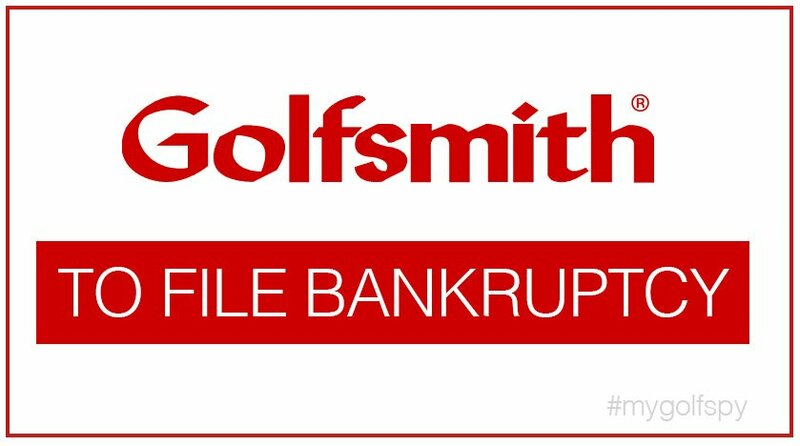 "Golfsmith International, the retailer of golf clothing and equipment, is considering filing for bankruptcy as it looks for a new owner, according to people with knowledge of the situation. Golfsmith hired the investment bank Jefferies LLC to solicit buyers for the roughly 150-store chain, without success so far, said the people, who didn’t want to be identified because the process isn’t public. The company also hired Alvarez & Marsal to help it restructure, according to the people, who said that a sale could come as part of a Chapter 11 filing. Founded by Carl and Barbara Paul in 1967, Golfsmith began as a custom golf club components supplier. As of August 2014, the company had expanded to comprise over 100 retail stores in over 20 states, selling golf clubs, performance apparel, skills improvement products, etc. Wow! Goldsmith is one of the oldest and largest golf equipment in the world. This is news man! They are a Dinosaur though, old business model in a new fast moving marketplace. With this uneventful exit, I hope that there is a new entry to cover the gap (something like death and rebirth and not death & remain dead). The staffs must be wondering with a heavy heart what will happen to them in the next few months and going into the future. Take heart, golf will survive.